Do you still keep the Yellow Pages? – Kimbal Musk (Elon Musk’s brother) in co-founding Zip2, an online directory which was then bought over for 307 million US dollars. Do you still remember the Yellow Pages? For the uninformed, it is a very thick book (usually yellow in color) which contains contact numbers that you may need: products, services, corporate offices, etc. I am very sure all of you do not require such a book anymore. Any information that you’re looking for are now at your fingertips and is acquired within seconds, thanks to the technological advancements such as the smartphone, access to the Internet, and the plethora of complementary applications that can be used to fulfill our need for information. So what is the point of bringing up the Yellow Pages? Unexamined beliefs are similar to the Yellow Pages. 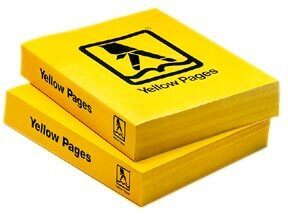 Despite society moving forward and finding new, more efficient, and more effective ways of doing things, there are many of us who do not want their own version of the Yellow Pages to be replaced. As a consequence, many of us lead a life which is deeply unsatisfactory, inefficient, and ineffective. You see people using their Yellow Pages everywhere you go. You see it still being used by the grumpy old man who thinks his ways are right, the chronically depressed woman who thinks that all men are cheats, the socially anxious teenager who believes that others will think he’s stupid for speaking up, or the unfulfilled employee who thinks he is not worthy to make it to the next step in his career. The examples are endless. Fun fact: The existence of the Yellow Pages is older than the formation of my home country, Malaysia. You can probably relate to those fairly common examples because you see it in everyday life. I see it even more with clients in therapy sessions and the consequences that they suffer from as a result of relying on their Yellow Pages. It is a rare occasion (and perhaps your lucky day!) if you have gone through a day without encountering a character who still brings a Yellow Pages with them wherever they go. As you are reading this, I would like to invite you to take a look at your inner self. Do you bring along a mental Yellow Pages with you too? Here is a dose of reality for you: if you find yourself living a life that is unsatisfactory, inefficient, or ineffective in some way, that as a result causes you to feel depressed, anxious, or chronically angry, then that would mean you are carrying with you a belief that is (surprise surprise!) unsatisfactory, inefficient, ineffective, and most importantly, outdated! Was the Yellow Pages useful at some time in the past? Yes, it was. Similarly, your outdated belief about yourself, others, or the world was also useful in the past. Perhaps the grumpy old man needed to have a strong sense of self-belief to achieve a significant amount of success in his younger years; maybe the depressed woman had to believe that men are cheats to protect herself and let her wounds heal after a nasty break up; the anxious teenager might had needed to keep quiet due to harsh punishments that he’ll suffer from voicing his opinions in his strict family, and maybe the unsatisfied employee had to believe that he is not worthy to be in a higher position as he had to share limited resources with other siblings in a modest family. Your Yellow Pages served you well when it was needed the most. As you grow and experience more of life, your needs change. As a result, your beliefs have to change too in order to address those needs and to live a quality and fulfilling life. Do all old beliefs need to change? No, as many of these beliefs may still prove to be useful. I still need to drink water from a cup, or to write with a pen. On the other hand, I definitely do not need to lug around a heavy Yellow Pages book to know which number to call. I have a smartphone for that. It is now 2016. It doesn’t take a rocket scientist to know that 307 million US dollars is worth way more than a copy of the Yellow Pages. It’s time to put that Yellow Pages of yours in the recycling bin. Just last night, I had a dream in which I was unable to reach out to my ex-lover no matter how hard I tried. The struggle felt real. I then woke up with a hollowness that numbs me as I lay on my bed for a good 10 minutes. I’ve recently developed the intelligence to bring headphones whenever I’m at my cafe, and I’ve spent the afternoon listening to songs that awakens a surreal feeling of melancholy. I have to admit, there are times in the past year when the feeling can get rather intense and overwhelming. In most recent years, my appreciation for experiencing pain and suffering have grown a whole lot. I found that I, too, have grown a whole lot from allowing myself to experience such pain. When examined more thoroughly, the feeling of pain makes me a complete person. I am, as a whole, a person who is capable of feeling sadness, anger, happiness, anxiety, and disgust, and value them (as best as I possibly can) all the same. There is a deep sense of comfort in accepting myself, which leads to an appreciation of my own life and the experiences that comes with it. Even in moments of pain, I feel like there’s so much to love about my own life. I no longer believe that pain is to be avoided or treated like a dirty word. And I’ve found myself loving my life more and more each day.